Every SEO expert’s keyword research tips are continually evolving, largely based on how search engine updates affect traffic attraction. Regardless of what search engine you prefer, our list of top keyword research tips are focused on Google search results. Let’s face it – with 3.5 billion Google searches performed every day, Google is the mother of all search engines. With recent Google algorithm updates in mind, we present our top three keyword research tips to help your website get better search results in 2018. 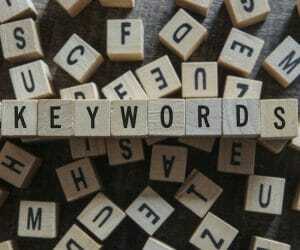 Optimizing your entire website around a single keyword is a huge but common mistake. The Google Hummingbird algorithm examines your entire website’s content to identify your site’s overall concept – making SEO that focuses on one good keyword ineffective. If you take a close look at your Google Adwords data (which you should already be doing on a regular basis), you will probably find that more than half of your visitors found your site by using keywords you didn’t consider. Therefore, it’s important to choose a handful of strong but related keywords to form an overarching concept for your website, optimize your web pages, and ultimately attract Google’s attention. Keyword research tools can give you some good information about primary keywords to focus on for your website, but these tools should only be considered a starting point. Grab a piece of paper and a pen, and pretend that you are an outsider searching for your product or service. Make a list of the keywords and phrases you would enter into Google to find your product or service. Write down all the words, phrases, or questions you might use. Ask friends and family to do the same thing, and see what everyone comes up with. After you have compiled all of these ideas and narrowed the list down, run each keyword or phrase through Google, and then take a look at the “Searches related to (keyword)” area at the bottom of the results screen. This one small step makes Google do additional keyword research for you, and it could provide a wealth of new ideas for your keyword list. Very specific phrases and questions entered into a search engine are called long tail keywords, and including them in your SEO efforts could make a big difference in your search results. Adding specific modifiers, such as your city or the current year, to your keyword (“keyword research tips” vs. “keyword research tips 2018”), or phrasing the keyword as a question (“what are the best keyword research tips for 2018?”) might seem to be too narrow to be effective keywords. However, you could tap into an entirely new and underserved population of searches just by converting a simple keyword or phrase into a long tail keyword. Our keyword research tips are not intended to be an exhaustive list – there are a number of other approaches and techniques that could take your search results and conversions to the next level. If you think your site could benefit from receiving close attention from an SEO expert, request a complimentary consultation.